Every year, as we celebrate another birthday, it is important to know that our eyes are aging as well. At a certain age, certain eye conditions are more likely to develop. Fortunately, we treat a wide range of eye conditions at Laser Eye Care Center in Detroit, MI. Dr. William Goldstein treats eye conditions caused by aging. He recommends that these eye conditions be monitored and treated to increase your quality of life and prevent further damage. As you age, you may notice changes to your eyes, some of which are more significant than others. Maybe your prescription changed, or perhaps you now require reading glasses. No matter what your symptoms are, regular eye exams are essential for maintaining your independence and decreasing your risk for vision loss. AMD damages the sharp, central vision you once had. Central vision is essential for seeing objects clearly and performing daily tasks such as reading and driving. During the early stages of AMD, there are no visual symptoms. Your central vision may appear wavy or blurry, or may disappear completely. With proper treatment and early detection, you can help slow the progression of AMD. Laser surgery and anti-angiogenic drug injections are highly recommended. Low-vision devices are helpful to maintain your independent lifestyle. The lens of your eye should be transparent. When cataracts develop, the lens of the eye becomes cloudy. As a result, your vision may appear cloudy or blurry, colors will fade, and glare will increase. Double vision and halos around lights are typical as well. The risk factors for cataracts include age, smoking, family history, and years of sun exposure. Surgery is the only way to correct the vision loss associated with cataracts. During treatment, the clouded lens is removed and replaced with a synthetic intraocular lens. Also known as diabetic retinopathy, this condition is a leading cause of blindness. This eye disease damages the blood vessels in the retina, causing them to leak, swell, and grow in places where they shouldn’t. Symptoms of diabetic retinopathy include eye pain, floaters in the field of vision, and blurry or distorted vision. Treatment options for diabetic retinopathy includes laser surgery to seal off leaky blood vessels, injections of medication to reduce inflammation, and surgery to remove vitreous gel or address retinal detachment. Glaucoma occurs when eye pressure elevates to the point that it damages the optic nerve. In many cases, patients don’t realize there is a problem until blind spots develop in peripheral vision. Other symptoms of glaucoma include tunnel vision, pain or redness of the eye, worsened or blurry vision, the appearance of halos or rainbows around light sources, and headaches. Treatment includes eye drops and oral medications. In more severe cases, surgery is required. 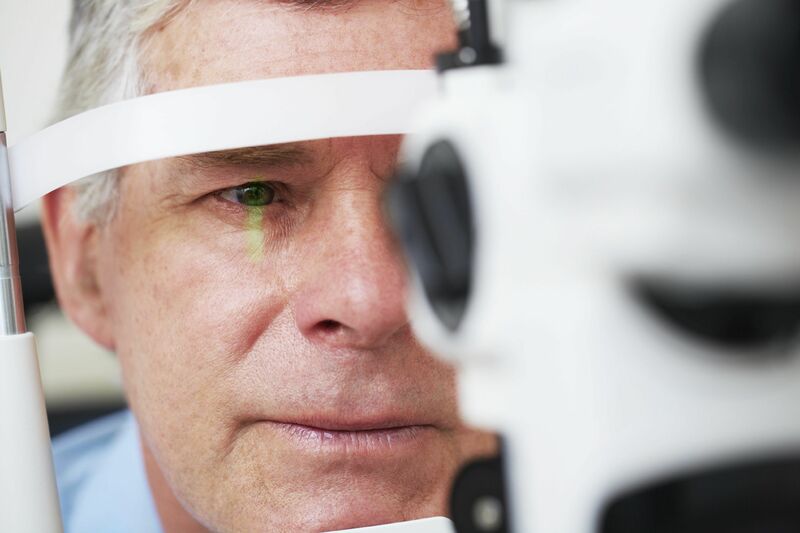 When it comes to age-related eye conditions, routine exams alone are not enough. Patients who are 50 or older should have a comprehensive dilated eye exam every year. This is the only way to detect eye diseases in their early stages. Many eye diseases offer no early warning signs or symptoms before vision loss begins to occur. Therefore, early intervention can save your eyesight. This is by no means a comprehensive list of all age-related eye conditions. To learn more about age-related eye conditions, schedule a visit at our practice. You can call our office at 586-323-2020 or contact us online.